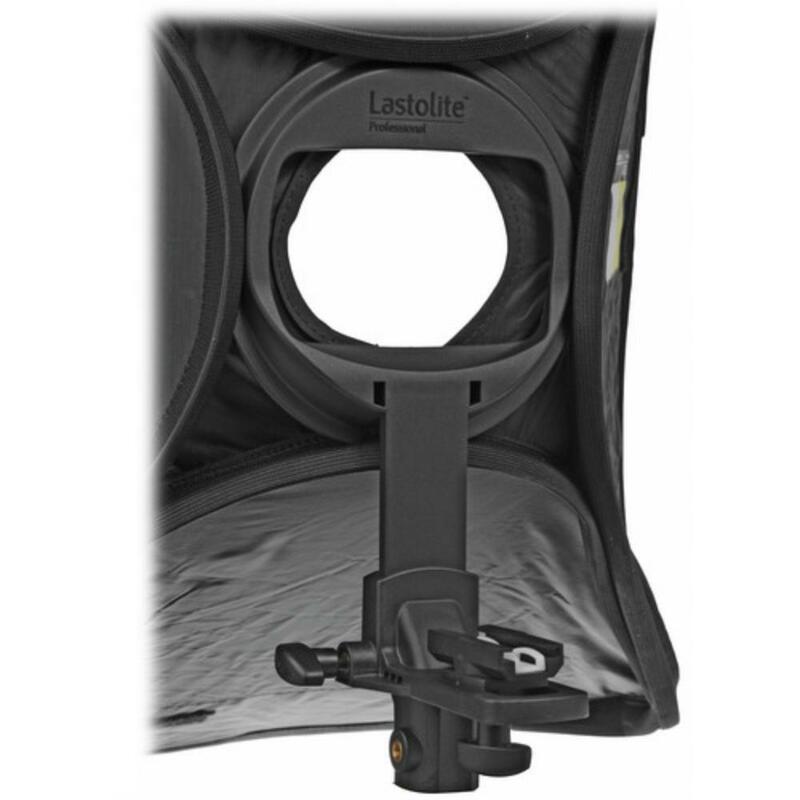 The Lastolite EZYBox Softbox is a 2' square light modifier compatible with any flash unit. Simply slide your flash onto the mounting bracket, which is connected to a speedring that nestles onto the back of the soft box using elastic tension. This is a very low-tool, low-effort light modifier suitable for head shots or as fill for more complicated lighting setups. It has a silver interior for contrast but a removable inner baffle and outer diffuser for soft light results. 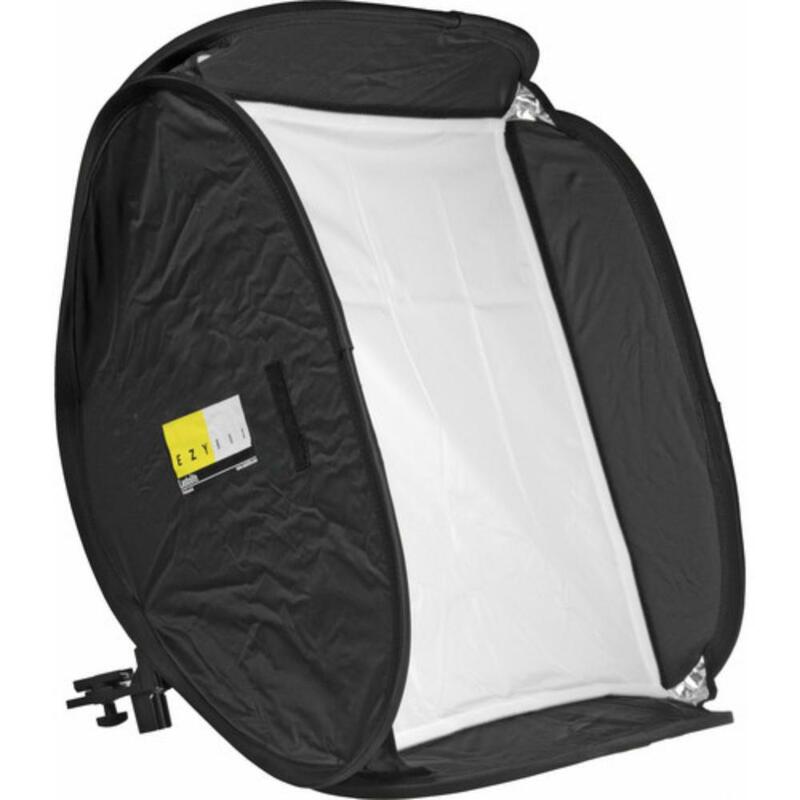 This softbox is particular well suited for beginners or low-profile shoots where set up and tear down needs to be fast. 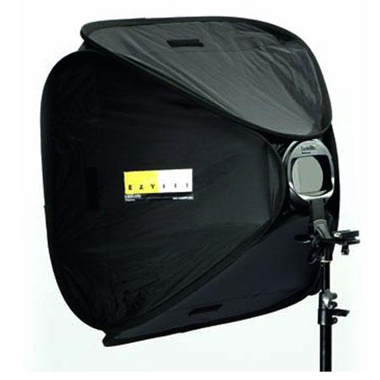 • This soft box comes with a speedring and mounting bracket to easily connect your flash to the modifier. But a light stand is not included and can be rented separately. • This modifier is not rod-based, making assembly easy. It folds in like a reflector for easy transport. • Flashes are not included with this lighting modifier and can be rented separately.